Healthy body, Healthy mind – when do you make time for your health? This stunning juice, yoga and fitness retreat is set deep inside Portugal and overlooks a magnificent wide flowing river and is surrounded by deep forest and far reaching mountains. Juicy Oasis is not a ‘Spa Hotel’, but rather a retreat where you are taken on a very unique ‘mind and body seven-day journey’ to fully recharge, reboot and inspire you. Jason Vale is the Juice Master! Jason Vale has sold over 2 million books worldwide and is highly regarded as one of the most influential people in the world of juicing and health. Jason is the number one best-selling author of 10 books, DVD’s, App’s and CD’S on juicing, health, fitness and junk food addiction. 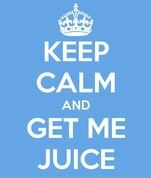 Jason is also the ‘Executive Pro-juicer’ of his hugely successful and ground-breaking documentary Super Juice Me! Where Jason tests his theory that chronic disease is caused by toxicity and nutritional deficiency, and that the best way to treat disease is simply with high quality nutrition. It’s a very empowering message, that your health is in your control! Much of the disease in the body is caused by the lifestyles and food that we eat. After-all prevention is much better than cure! 6 weeks since I was at Juicy Oasis and thrilled to report I have dropped nearly 2 dress sizes! I am doing my 5 Tibetans and rebounding every morning, Tracy Anderson DVD or Gym most days, Juicing 3 out of 7 days as a MUST and NO booze for the 6 weeks !! It definitely flicked my switch into improving my lifestyle, what will flick yours? For more information visit the Juicy Retreat . Combat stress through better nutrition! We will all experience stress to some degree through our lives, some more than others. We have developed various coping strategies to deal with stress, some effective, some less so. Some of us exercise, while others listen to music. Some people like to take time out for a hobby, or to play with their children. We have to accept that stress is all around us, in our work lives, at home, in our relationships. Some people are innately and genetically better at dealing with stress. Others can teach and train themselves to handle stress more efficiently, what most people don’t realise is the right food choices can dramatically assist the body in better handling stress. Therefore, we have more control over stress than we might realise; that’s good news!! We have total control over what we put in our bodies, typically when people are stressed they make bad nutritional choices such as caffeine, alcohol and fast foods. Every cell in the body needs good nutrition to work optimally; stress depletes the body of vitamins, minerals and nutrients. It can degrade digestive function and slows the metabolism resulting in you feeling more tried, irritable and angry. Very quickly we can see a vicious circle beginning where we make poor choices which will compound our ability to deal with the stressful situation in the first place. 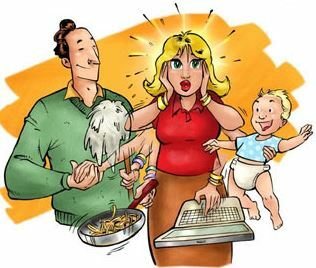 The hormonal chaos prolonged stress causes can increase your risk of blood sugar problems, high blood pressure, fatigue and weight gain. A well-balanced diet is crucial in combating stress. Stay away from the usual culprit’s caffeine, alcohol, salty foods, fatty foods, sugar, refined and processed foods. When the body is under stress, it has been proven that he body uses up its resources until they are bare. Magnesium: Needed for a variety of tasks such as muscle relaxation, fatty acid formation, making new cells and heartbeat regulation. Celery– contains nutrients that clam, including niacinimide. It’s an old folk recipe to lower blood pressure. Sunflower seeds – rich source of potassium, B Vitamins and zinc which play a critical role in the health of the adrenal glands. Berries – are rich in magnesium and vitamin C. Insufficient vitamin C can weaken your immune system and make you feel generally stressed and run down. I also recommend you take a look at this book by Ann Peckham “Simple steps to much less stress”. A wonderful book full of easy to implement strategies to combat stress. Anne has transformed her own health, reducing her weight, lowering blood pressure and cholesterol and all without dieting or medication. And is passionate about helping others to do the same! Finding ways to reduce the level of stress in your life will open up reserves of energy and determination you may not know you had! Do you take your health for granted? How much attention to you pay towards your health? As busy business people under pressure from deadlines, juggling family life, traveling from conferences to meetings, you could be constantly eating on the run, wanting to find time for the gym, reaching for the wine glass after a particularly stressful day; we have all been there! Often we let our health slide because we don’t prioritize it against the many other tasks we have to deal with. Unfortunately we can’t see the damage we are doing on the inside, the human body is a wonderful machine and will take years of abuse but in the end something will give. Often we are like sitting ducks, only valuing our health when we are faced with an illness. 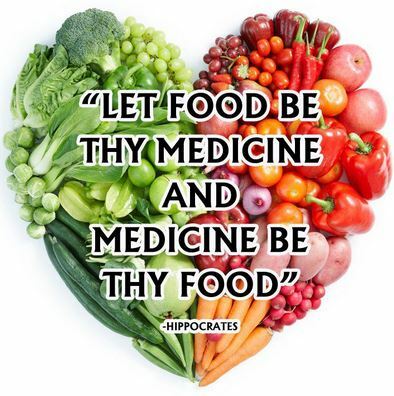 Hippocrates was born something like 460 BC and was the first physician of the time to separate medicine from religion, believing and arguing that disease was not a punishment inflicted by the gods but rather the product of environmental factors, diet, and living habits. Wouldn’t you think after all this time we would be much better equipped to look after our health? We throw at our bodies all sorts of insults in the form of processed food, alcohol, environmental toxins and lack of exercise hoping that it will cope and that nothing bad will happen. It’s funny that we will have our car’s serviced each year because we know it will save us money in the long run yet we don’t treat our bodies with the same respect; it’s the one thing we all own which can’t be replaced!! For some people it will take a major health challenge to get their attention and motivate them enough to slow down and take better care of themselves. For others, the mere inconvenience and nuisance of getting the flu and colds regularly, regular headaches, having no energy or feeling run down will be enough of a warning sign to make fundamental lifestyle changes. Getting the balance right between sleep/relaxation, exercise and nutrition is the secret to well-being. Can you afford not to prioritize your health? Visit my health blog for more advice www.synchealth.co.uk on maintaining a healthy lifestyle. How can we achieve our optimal health? I have always been interested in health and nutrition, being an ex-nurse and medically trained it’s always been a priority of mine. I spend a great deal of my time now travelling the world and helping to spread the message of health (with my Juice Plus business), my particular passion is helping children with ADHD without the use of drugs!! But that is another story; the purpose of this post is to answer the question I often get asked…. We have to change our bad habits. Seriously, in our fast paced modern lives we need to really take some time to get our priorities straight. You can’t perform at your top-level if you don’t look after yourself from the inside out! Today our biggest enemy is our lifestyle, an unbalanced diet eaten in a hurry, lack of exercise, sitting for hours at the computer terminal, and smoking and other environmental toxins as well as mental and emotional stress. We ask our bodies to deal with many burdens and then we wonder why we get sick. Well, you cannot control all these factors, but certainly we can become more thoughtful about some of these choices. Optimal health comes from making optimal choices. It is a journey. 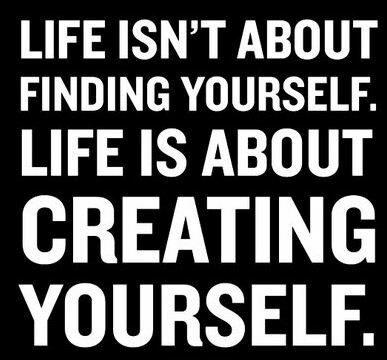 One has to begin somewhere…. The most important actions that impact your health are daily exercise and eating more fruits and veggies – but you knew that right? I recommend you start with looking at the food you currently eat and start looking at the nutritional content, unfortunately food produced today lacks the nutrients of food produced 30 years ago. Here are some nutrition top tips! For the next best think to eating fruits and veg take a look at the Juice Plus Concept. Welcome to part 3 of my blog on using emotional intelligence to progress towards your goals! This final post will include a list of questions to ask yourself to become more emotionally intelligent. I understand for many people reading this that it might be a new concept to understand so first I want to share a study that looked at Emotional Intelligence in education to illustrate just how important it can be! Our educational systems focus on honing children’s cognitive skills from the moment they enter the classroom. But virtually no emphasis is placed on educating children in the management of the inner conflicts and unbalanced emotions they bring with them every day to school. As new concepts such as “emotional intelligence” become more widely used and understood, more educators are realizing that cognitive ability is not the sole or necessarily the most critical determinant of young people’s aptitude to flourish in today’s society. Proficiency in emotional management, conflict resolution, communication and interpersonal skills is essential for children to develop inner self-security and become able to effectively deal with the pressures and obstacles that will inevitably arise in their lives. Moreover, increasing evidence is illuminating that emotional balance and cognitive performance are indeed linked. Growing numbers of teachers are agreeing that children come to school with so many problems that it is difficult for them to be good students. Integrative Physiological and Behavioural Science. 1999; 34 (4): 246-248. Able to organize and manage their time, both at school and at home. More comfortable with their teachers and showed increased compassion with their peers. The children also felt more comfortable with themselves, were more assertive and independent in their decision making, more resistant to the demands of peer pressure, and better able to manage their stress, anger and negative internal self-talk. The children showed increased satisfaction and control over their lives while with friends, at school and around their families. Definition – Problem solving Questions shift our focus from a problem to its possible solutions. They are the way of Accessing and mobilizing our resources. 1. What’s great/right about this problem? 2. What’s not perfect yet? 3. What am I willing to do to make it the way I want? 4. What am I not willing to do to make it the way I want? 5. How can I enjoy the process? To finish this 3 part series I wanted to share some tips on how to change your state and improve your mood so you can have a positive frame of mind, everything then is possible so make 2013 your year and achieve them goals!! Make a phone call to a positive, friend or colleague. Give yourself a positive treat! Start the day with happy thoughts- or a positive affirmation. Express your feelings-offload to someone who is pleased to listen and be supported in a constructive way. Make a plan for the day the night before, setting you some goals /empowering steps for the next day. Be assertive- ask for something you want. Give yourself permission to be Happy! Listen to music that you love, read a poem or watch a funny movie! Pay someone a ‘from your heart’ compliment and watch their reaction. Take extra care with your grooming- to enhance your appearance and sense of well-being. Do some vigorous exercise- it’s a great energizer! If you are worried about something- take steps towards solving it, instead focusing on the problem. Remind yourself of your achievements in life, both personal and career. Write down a goal in life- even if it’s a dream. List 3 steps to achieving it-Take one step. Plan a short trip or holiday. Allow some time for yourself- remember you are a human being – spend some ‘me ‘time. What phrases do you use to make people feel more comfortable, motivated, and appreciated?